Butcher-Greene staff and families are not shy on the dance floor. 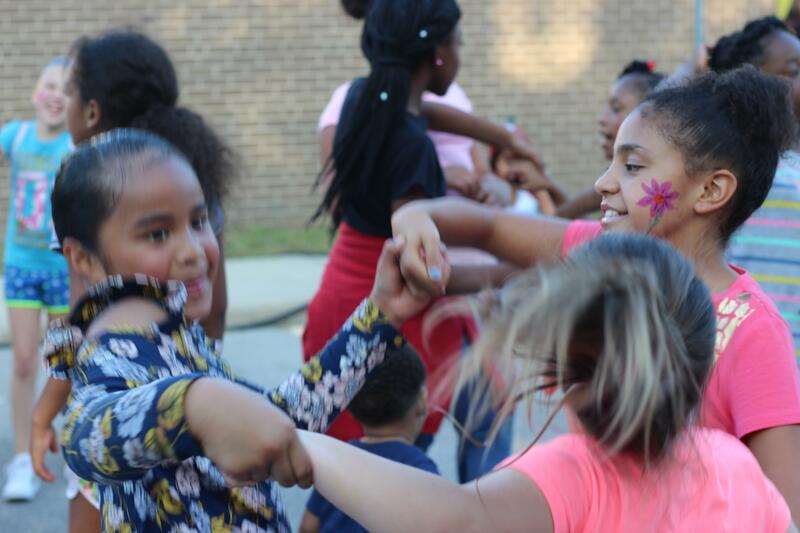 The school held it’s 2nd annual Back to School Dance Jam and hundreds throughout the community came out to have some fun. It was a great opportunity for families to meet and greet officers with the Grandview Police Department and firefighters with the Grandview Fire Department. The DJ's tunes kept everyone moving and grooving and thanks to Kona Ice students had a chance to cool off with a sweet treat. Butcher-Greene would like to thank all of its community partners and volunteers who worked together to make it a success!! Click here to check out fun photos! The yearbooks have arrived and will go on sale Monday,April 15th, on a 1st come, 1st serve basis. If you would like for your child to have this special keepsake of the 2018-2019 school year, the office will be selling them for $7.00 while supplies last. Cash or Checks made out to Butcher-Greene accepted. 3rd quarter awards assembly has been rescheduled from Tuesday, March 26th to Thursday, April 4th. K-2 at 1:45 3-5 at 2:45.